This iteration of the iconic Nike Sb blazer is as close to the gold box era that I love so much. The only gripe with the sneaker is the lack of the classic gum outsole and wood grain insole! Great shoe but it could have been executed better. I was hesitant to buy these, but after binge buying several other shoes I became comfortable adding these to my new collection. They are my new favorite shoes! I love the baby blue suede and they look great and feel great. 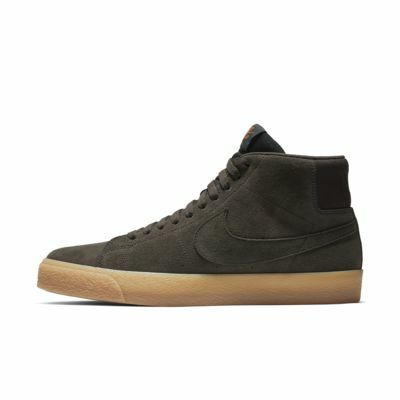 Nike, please make more awesome colors like this, my wallet is ready and I'm ready for a Blazer Mid collection! I do not skate anymore, but love the durability, look and comfort of skateboard shoes.